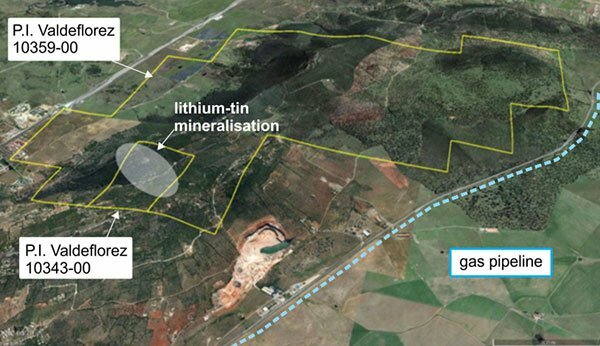 News that lithium explorer Plymouth Minerals (ASX: PLH) had been granted tenure in an area surrounding its San Jose lithium-tin project located in central Spain was well received as the company’s shares jumped nearly 5%. 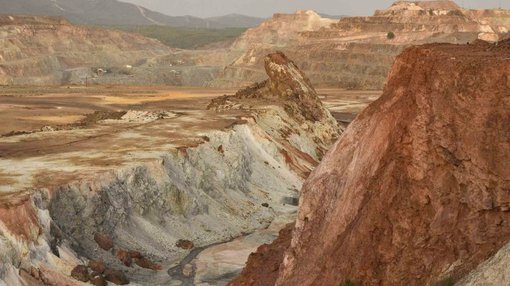 As a backdrop, PLH has partnered with the large Spanish company Sacyr and its wholly-owned subsidiary Valoriza Mineria in an earn-in joint venture through which the group can accumulate a stake of up to 75% of the San Jose project. This would involve completing a feasibility study within four years at, which would involve an investment of circa $6 million. Mineralisation from the recently announced maiden JORC resource (May 25, 2017) is dominantly within tenement P.I. Valdeflorez No. 10343-00 (see image below) that was awarded through public government tender to the Sacyr-Plymouth joint venture in June 2016. Lithium-tin mineralisation is open along strike and at depth at San Jose. This mineralisation extends north into the recently granted tenement. As can be seen below, expansion tenement P.I. Valdeflorez 10359-00 extends coverage along strike for San Jose, as well as providing space for the required infrastructure including the proposed lithium carbonate processing facility. The strategic benefits of being granted this extra territory in terms of broadening the size of the project and providing space for construction facilities close to key infrastructure such as the gas pipeline are evident in the following diagram.